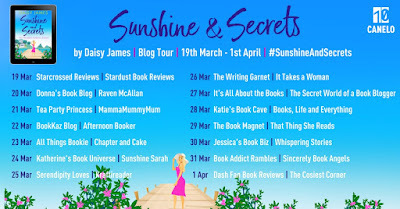 Welcome all to my stop on this wonderful Blog Tour! 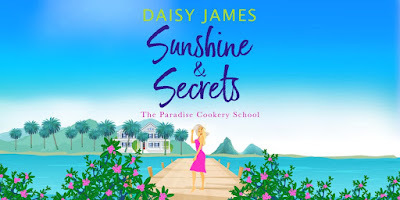 And what a treat we have in store today with a fabulous extract from this feelgood book, along with my review - spoiler alert - I loved this book! Full of all the feels in the most idyllic setting!! Millie had received the promised email from Jen and had studied the attachments during the flight. It turned out her sister hadn’t told her the full story – nothing new there. Not only did she have to oversee the renovations but she was also expected to triple-test and finalize the course recipes and menu cards. It was going to be a challenge – it would be years before she could aspire to match the brilliance of Claudia Croft, if ever. She was relieved that Claudia had arranged for her friend and local Caribbean cook, Ella Johnson, to be an integral part of the testing committee. Despite the course attendees’ desire to indulge in a fun-filled, pre-wedding celebration, Millie knew that the price the bride’s mother had paid for the classes meant they would be a discerning and demanding audience – foodies with an interest in furthering their skills and repertoire to include a cocoa-flavoured twist. So, a siesta was obviously out of the question. Ella would be arriving shortly to meet her and Millie wanted to reassure her that she was up to the job. She straightened her shoulders, grabbed the handle of her wheelie suitcase and drew in a lungful of breath. The sweet fragrance of jasmine, mingled with wet soil, tickled her nostrils as she dragged her luggage and her exhausted body up the incline towards the house. She slung her bag higher up her shoulder so she could protect her trusty scrap box of recipes with her arm, and tossed her bedraggled mermaid hair over her shoulder, wishing she had thought to tie it back. Her jerky movement dislodged an apple from the top of her bag and it rolled away down the hill, picking up speed until it rounded the corner and disappeared from view. The daily deluge continued its onslaught. The celestial director of meteorology had clearly decided to ratchet up the special effects for her arrival on stage. Unexpectedly, Millie felt tears gather along her lashes. Not only was she soaked to the skin, with a throbbing toe and burning lungs from the unfamiliar exertion of tackling the hill, now a juggernaut of tiredness had rammed into her bones. However, her excursion into self-pity didn’t last long. As she emerged from a dense grove of banana trees, the welcome sight of the old plantation house erased her lethargy in an instant. Built in the French colonial style, with a white-painted veranda and pale blue jalousie shutters, the villa nestled comfortably against the tropical foliage of the rainforest. The building was impressive but she was too exhausted to fully appreciate its architectural splendour. She ditched her luggage next to a stack of scarred wooden crates, stuffed to bursting with weird-looking purple-brown pods, loitering on the doorstep like sentries, and trotted around the wooden veranda to the front of the house. What she saw whipped the breath from her lungs. A set of smooth white marble steps descended towards the most stunning expanse of aquamarine she had ever seen. The infinity pool’s decking had been embellished with six navy-and-white striped sunloungers and was bordered by a necklace of lush banana trees, their leaves sporting a glossy sheen from the recent downpour. But she barely noticed this arboreal glory compared to the majesty of the panorama in front of her widened eyes. She felt her jaw drop. This was a treat of a read! Full of fun, romance and those feel good vibes that make the world a happier place! Millie isn't in a happy place as she's recovering from a broken heart. But she has her love of cookery to help distract her. Her sister Jen is also on hand to try and help her move on and what better way than springing a surprise on her at the airport! 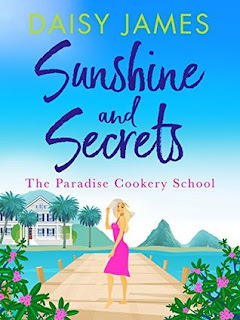 She thought she was going to spend time with her mother, but Jen has recommended her for some work in St Lucia to help out the celebrity cookbook writer Claudia Croft who is setting up a Paradise Cookery School over there and needs some help. How could she say no?! When she arrives over there she's quite low on confidence and is a little daunted by what she faces but with stunning views and friendly locals, she soon settles and finds herself enjoying life once more! Even the daily downpours don't seem to dampen her spirit. The estate manager, Zach Barker, is there to watch over here and their first few meetings don't go well but it's nice to see how their friendship develops despite their clashes. Even with some mysterious goings on happening that seem set to test her , she finds the challenge she faces with the school is just what she needed and her love of cookery is easy for all to see and a helpful way into the hearts of the local community! This was so much fun to read with a lovely cast of characters in a paradise setting! Thanks for stopping by today! 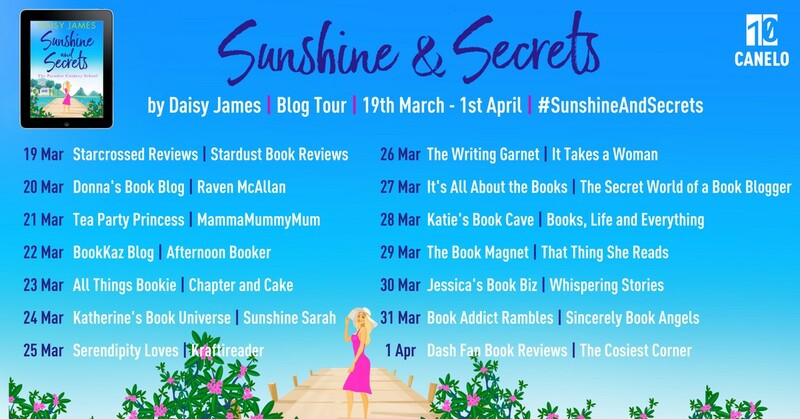 Don't forget to check out the other stops on this Blog Tour and hope you enjoy this book as much as I did! !